Hello Namaste Yogis! In order to celebrate 25 thousand subscribers and 3 million views and thank you for subscribing to my YouTube channel we are having a giveaway. Recently I went to an evening out with the Shanti Collective to create a mala. 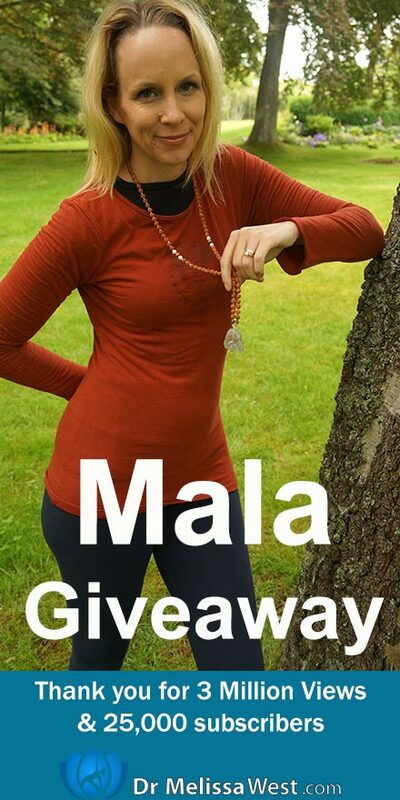 I created this mala to give away to you to celebrate 25 thousand subscribers and 3 million views and to thank you for subscribing to our channel. Here is how you can enter to win this beautiful mala that I made just for you. Previous post: Ready for Intermediate Yoga?